Delivering an outstanding spread pattern. The Titan range starts with 3 models from 6 to 9 cubic metres. Extend capacity easily with steel greedy boards. Whether spreading fresh, well rotted or semi-solid farmyard manure, poultry litter, compost or waste products, TITANs deliver an even, fine and wide spread pattern. Tall beaters deliver massive output for high work rates. Prior to finishing with a 2 pack paint system, all components are shot blasted to ensure that they are clean and provide the best possible keying surface for the paint. All seams are continuously welded or sealed to protect against corrosion. For accurate and convenient in-cab rate control. 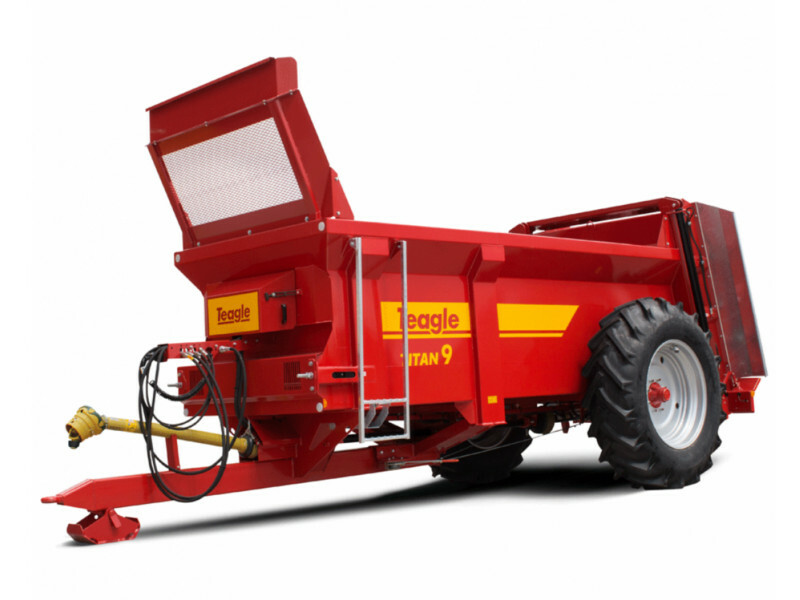 For extra capacity from the same compact spreader. For straightforward hitching and unhitching. Where a Titan does not have to travel on the road, and material to be spread has a high straw content the slurry door may not be required. For greater spread widths and an improved pattern with friable materials. 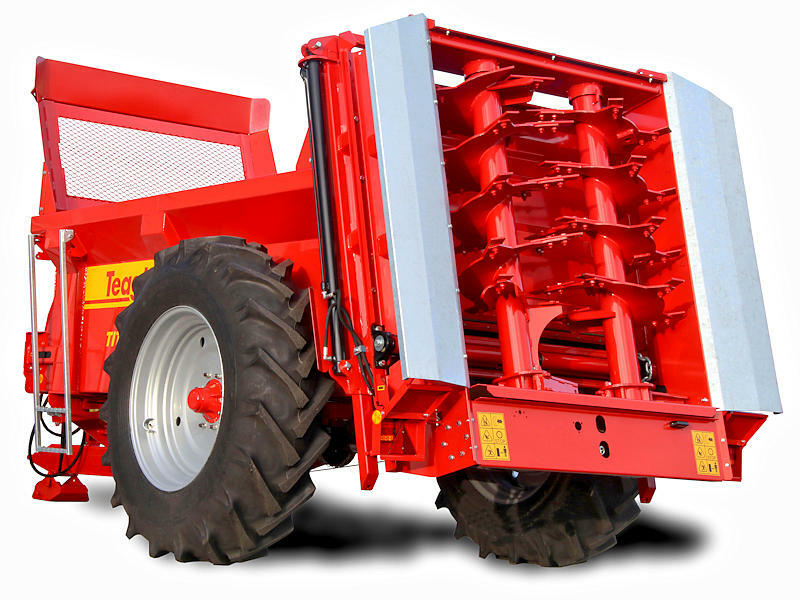 For special application or reduced ground compaction. With models from 6 to 15 cubic metres the TITAN range is well proportioned, providing excellent stability, manoeuvrability, visibility of the load, and superior ground clearance.